Charach: Did you see other guys pull their guns after you pulled your gun...in the kitchen? Charach: How far did you have it out? Footnote 212: Cesar interview, in The Second Gun. Thousands of pages of testimony and documents released by St. Louis County Prosecuting Attorney Robert McCulloch show how grand jurors and investigators challenged witnesses, asking skeptical questions of those who said the shooting was unjustified. On the stand, several said they'd lied when interviewed by investigators. Several witnesses admitted to the grand jury that they'd not told the truth when they were interviewed after the shooting by St. Louis County and Federal Bureau of Investigation agents who canvassed the neighborhood. One resident told the FBI that Brown fell to his knees and put his hands up, that Wilson fired and Brown fell forward, and that Wilson stood over him and shot again. The witness was challenged on the stand in the grand jury room. "You told the story that had a bunch of lies, isn't that right?" asked Kathi Alizadeh, one of two assistant prosecuting attorneys in the case. The witness backtracked, saying the comments to the FBI were based on "assumption" and "common sense." One woman admitted she lied to FBI agents on Sept. 30 when she claimed to have been a witness, saying she repeated what her boyfriend claimed took place. "I just wanted to be a part of something and tell them what my boyfriend said because he wasn't there" to be interviewed, she said. "I didn't know if they were going to come back and try to talk to him, I just wanted his story to be out there." She said she testified after the Justice Department granted her immunity and promised not to prosecute her for giving false statements. Brown was waxed up on dope. This is as good a reason as any for his suicide by cop ending. A detective told jurors the term “waxing” didn’t mean much to him at first. Then the results of Brown’s toxicology reports came back on Aug. 15 showing he had high levels of THC. According to a toxicology report, Brown had 12 nanograms of THC per milliliter of blood in his system. There were no other drugs detected. In testimony before the grand jury on Nov. 4, the chief toxicologist for St. Louis County said it was clear Brown had consumed a lot of marijuana because it would take a lot to get a 300-pound person to the level of 12 nanograms of the compound THC in his bloodstream. Last edited by frisco kid; 06-01-2018 at 11:48 PM. BRENT:I’m talking to Don Schulman. Don can you give us a half-way decent report of what happened within all this chaos? SCHULMAN;OK I was ..a…standing behind…a…Kennedy as he was taking his assigned route into the kitchen. A Caucasian gentleman stepped out and fired three times. The security guard hit Kennedy all three times. Mr. Kennedy slumped to the floor…they carried him away…the security guards fired back…As I saw…they shot the ….a…man who shot Kennedy…in the leg….he…a before they could get him he shot a ….it looked to me…he shot a woman…and he shot two other men.They then proceeded to carry Kennedy into the kitchen and …I don’t know how his condition is now. BRENT: Was he grazed or did it appear to be a direct hit? Was it very serious from what you saw? SCHULMAN:Well…from what I saw…it looked…fairly serious.He had …he was definitely hit three times.Things happened so quickly that…that…there was another eyewitness standing next to me and she is in shock now and very fuzzy…as I am…because it happened so quickly. BRENT:Right.I was about six people behind the Senator, I heard six or seven shots in succession…Now…is this the security guard firing back? SCHULMAN:Hitting him, and he is in apprehension. Last edited by frisco kid; 11-05-2016 at 06:02 PM. "They made me believe I had murdered Robert Kennedy in cold blood and I was remorseful and ashamed. Everyone said I was guilty. They said I would get the death penalty....no matter what I said or did. They said it was an open and shut case and that I might as well give up. I just wanted to get the whole thing over with and if it meant me being dead, so be it. I didn't have anything left to live for anyway." A trial followed, Sirhan represented by attorney Grant Cooper, a man he called "crooked. He had mafia and CIA connections," Sirhan explaining what he knew and his mob involvement. "He was (picked) to make sure I was convicted and sent to my death, and Cooper complied because they were planning to kill him" otherwise. "At a specific moment, and I can't remember when or why, I shot my 22 caliber pistol three times. My arms were unsteady but level with the ground. Two of the shots missed. I saw them miss. One of the shots may have bounced off him like a BB. All of a sudden people were grabbing me. They were forcing me down....Did anybody say I reached around behind and shot Robert Kennedy in the back of the head?" Sirhan: "But that's what I would've had to do" to kill him....So, what do you think of me now? Do you think I am crazy like they say?" Not at all, said Reynolds, Sirhan adding "I am just a man. I am a man just like you. I am trained never to allow an inmate to touch me." In parting, he embraced Reynolds, both of them now "secret friends in a desolate place." Last edited by frisco kid; 06-01-2018 at 03:32 PM. A man allegedly driving a stolen red 2001 Pontiac Aztec crashed near the intersection of East 38th Street and North Sherman Drive while trying to avoid police, according to a statement from the Indianapolis Metropolitan Police Department. North Sherman Drive will remain closed for the next few hours as investigators review the scene of the accident. Police advise drivers to seek an alternate route. Officers responded to a report of a stolen vehicle at around 8:30 a.m. The owner of the car said she left the Aztec running in her driveway while she went inside her house. When she returned, it was gone. Within half an hour, police received a 911 call stating GPS tracking of the stolen car located it on the 3500 block of Orchard Avenue. While officers made their way to that area, an officer in a marked patrol car spotted the car and tried to conduct a traffic stop. The driver pulled over into a lot in the 3700 block of North Keystone Avenue. The driver raised his hands as the officer conducted the felony stop and waited for backup. Soon after, though, the driver fled eastbound on East 38th Street at high speed. The driver swerved at the intersection of East 38th Street and North Sherman Drive, trying to avoid hitting another vehicle. He lost control and crashed against a tree. The driver was pronounced dead at the scene by Indianapolis EMS personnel. The driver has not been identified. More details are not available at this time. Highland Avenue was closed for hours between Melrose and Rosewood avenues. Debris from the vehicle was scattered across both sides of the median. The vehicle’s engine and transmission were separated from the chassis and landed approximately 100 feet south of the crash site, near Highland Avenue and Clinton Street. Last edited by frisco kid; 10-24-2018 at 06:54 PM. She's the wife of the jewish man with the garden hose. A most important eyewitness who contradicts (the police report) that Hastings was on fire for 3-5 minutes. The relevant audio starts around 12:00. “A witness to the aftermath of the Michael Hastings accident on June 18 in Hancock Park in Los Angeles, California told Infowars Nightly News that the journalist’s body was not badly charred as reported by the Los Angeles Times. The LAPD and the Los Angeles County Coroner were “trying their best” to hide the body from the witness, who asked to remain anonymous, when it was pulled from the vehicle approximately three hours after the fire was extinguished, between 7:20 to 7:40 AM. As to why the Obama regime, and now the LAPD, are continuing to cover-up Hastings assassination can be readily viewed in this map [below/see video HERE] showing the sheer impossibility of this award winning reporter who was running for his life having been killed by his vehicle hitting a tree, especially in light of the fact the debris field extends for nearly 300 meters (100 yards) clearly indicating an explosive event. The car was fully engulfed in flames when emergency workers arrived moments after the wreck was reported by a worker at a nearby Jamba Juice, KABC-TV reported. Last edited by frisco kid; 05-04-2016 at 12:35 AM. “He was deeply agitated,” says The Young Turks host Cenk Uygur. Since Hastings didn’t want to say anything more over e-mail or the phone, Farwell, who lived in Virginia, set up a lunch for him the following Thursday with a trusted friend of Farwell’s, also in L.A., so that she could pass along whatever Hastings had to tell him on her forthcoming trip East. The lunch never happened. At 4:20 a.m. on Tuesday, June 18, Hastings’s silver Mercedes C250 coupe, speeding south on Highland Avenue, crossed Melrose, jumped the median, hit a palm tree, and exploded. The charred body of the driver was identified by the Los Angeles coroner as John Doe 117 until fingerprints confirmed that the deceased was Michael Hastings. Last edited by frisco kid; 10-24-2018 at 12:52 AM. Jose said the car was on fire way before it crossed the light. "I ran to the street and asked myself how will this end?" "The car was bouncing, flames and sparks near the gas tank." "When he hit the palm tree, that's when the flames were higher." "There were explosions and everything. The transmission was found a few feet in front of the car." "You saw the sparks prior to him hitting anything, you just saw it at the bottom of the car?" "Yes, plenty from the beginning, way before he crossed the light." "No one could approach the car because it kept exploding." 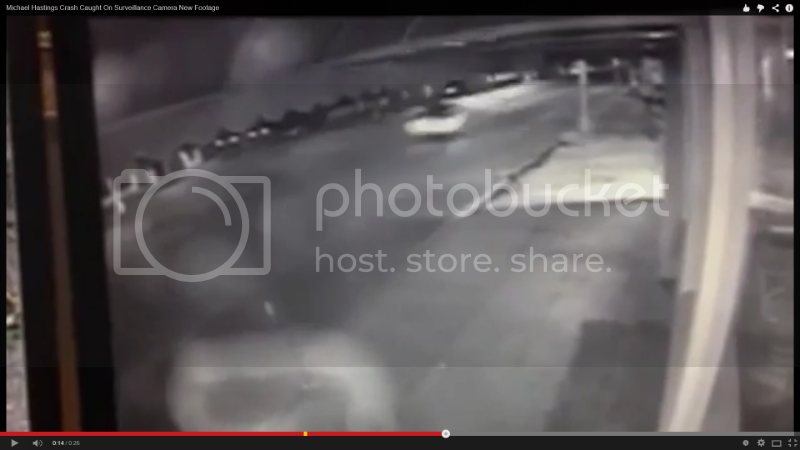 "As soon as he crossed the Melrose stop light, about 50 feet ahead is when he lost control." "I think he came across deeper pot holes, and he fish-tailed and he went right into the palm tree." Last edited by frisco kid; 05-05-2016 at 02:51 PM. Was it a bomb, or simply placed there...130 feet southeast of the Mercedes' resting spot? There are few things in this case more absurd than the engine fly-out myth. What a complete farce. Last edited by frisco kid; 08-09-2015 at 12:57 AM. toward his left; as he was well wedged into the vehicle, he required LAFD extrication. Decedent was first observed not slumped forward or leaning to his left, unless the pumpkin head wasn't Hastings? Nothing was wedging the dummie head or whatever it was in the car. The dummie did not require LAFD EXTRICATION. It can't be shown how any body was pinned in the car. The dummie was all the way back, head straight up and nothing pinning it in. NO REAL EXTRACTION TOOK PLACE. IT WAS STAGED. The supposed body was at first straight up and then slumped over with a blown out door only a minute and a half later. The later view with it slumped over was faked. The times to look for are 3:00 and 4:38. Last edited by frisco kid; 05-02-2016 at 10:31 PM. People have only asked where Hastings was headed right before his car exploded, but few ever asked a much more important question. Assuming that Hastings left in his car after leaving Thigpen's place, where the hell did he go for as many as 4 hours? This huge amount of time would've allowed him to be killed elsewhere and to remotely control the Mercedes a very short distance before it absolutely exploded. He was only 1.5 miles from home. In February, Hastings had rented a one-bedroom apartment with a gorgeous view overlooking Hollywood. The landlord allowed him to use another unit, the one below Thigpen's, to write. Often, when Hastings was done for the day, he would visit Thigpen. He would talk passionately about the stories he was working on. They talked about other things in the news, about stories she thought he should pursue, and about their shared sense of grief. "We both suffered the same thing, which was depression," she says. Hastings was intensely interested in government surveillance of journalists. In May, the story broke about the Department of Justice obtaining the phone records of Associated Press reporters. A couple weeks later, Edward Snowden's revelations about the National Security Agency's massive surveillance program became public. Hastings was convinced he was a target. His behavior grew increasingly erratic. Helicopters often circle over the hills, but Hastings believed there were more of them around whenever he was at home, keeping an eye on him. He came to believe his Mercedes was being tampered with. "Nothing I could say could console him," Thigpen says. One night in June, he came to Thigpen's apartment after midnight and urgently asked to borrow her Volvo. He said he was afraid to drive his own car. She declined, telling him her car was having mechanical problems. "He was scared, and he wanted to leave town," she says. The next day, around 11:15 a.m., she got a call from her landlord, who told her Hastings had died early that morning. His car had crashed into a palm tree at 75 mph and exploded in a ball of fire. "I burst into tears," Thigpen says. "I couldn't believe it had happened again." It was all just a coincidence, or not. He was paranoid about his car being tampered with only four hours before he blew up in it, or was he really in it at all? Last edited by frisco kid; 08-09-2015 at 01:10 AM. Last edited by frisco kid; 05-02-2016 at 02:37 AM. The tire was mostly parallel with the passenger side. It was not turned hard left and could never appear so from any angle. I knew that before posting this thread. Shortly after you made your point I found an awesome capture at 1:53 that shows the tire mostly straight, as it was early in the video and at the end. The straight tire is visible about one minute after the fake image is turned hard left. The angle is the same at these two different times and this capture used is one second before the old one, at 0:54. Of course the LL video was fabricated to some degree. That's just common sense, but what amazes me are the clues they left behind for anyone that bothered to look. There are still many questions and theories circling around what caused the tragic car crash that took esteemed journalist Michael Hastings' life. We don't have official word yet and are awaiting an official investigation. Some people witnessed the crash though, including Jose Rubalcava, who is the only man known to have witnessed the crash from beginning to end. He shares what he saw in the interview with Ana Kasparian, co-host of The Young Turks. Last edited by frisco kid; 05-03-2016 at 06:04 PM. Okay. But what I'm saying is that deception was used in the video and other evidence suggests that the body was not burnt completely. That doesn't seem possible, considering the Mercedes was ablaze for at least five minutes. If her account is true then Hastings was certainly not inside the burning Mercedes, as he would've looked like the completely burned man in the car below. What's interesting is how her description isn't much different from the Coroner's report. The most significant difference is that she described both arms being unburnt instead of just one. “According to most recent investigative findings, it appears that Mr. Hastings made multiple contacts with sources directly associated with the illegal NSA domestic spying program, and either recently acquired materials and/or information about the extent of, the targets of, and the recipients of the information of domestic spying program. It is speculated that the latter information was of particular concern to as yet unidentified individuals holding positions of authority within the U.S. Department of Defense and their subcontractors, as well as certain parties within the Executive branch of the United States government. To if the American people themselves will demand that the assassins of Hastings be brought to justice, it remains highly doubtful as their propaganda news media and elite classes, as always, seek to hide this brutal crime away from public notice as they have done too many other times to count. Last edited by frisco kid; 10-19-2018 at 12:43 AM. The evidence that the damage to the tree was faked is found within the video. Of course Luke has no interest in seeing any real proof that debunks his acceptance of simple falsehoods. Luke meets this kind of evidence by either pretending not to meet it or possibly spending some time to find a stupid excuse. Luke has been provided with the north side of the tree which contains no impact damage compared to the daytime photo that displays the north/northwest sides. It is so precise that the vertical discoloration matches in both images. Note that the bark is shredded at 3:38 and in the day-pic, but not at 4:34. There are more changes throughout the video. The vertical discoloration matches the daytime photo and it depicts the north and west sides of the tree. What nonsense are you referring to? I've provided factual evidence that the film was altered, and good analysis that Hastings was likely not inside that towering inferno. This is the first comp I did early this year. The camera angle is the same with a slight difference in zoom. The tire being straight and them wanting us to believe it was turned hard left is independent proof of a massive cover-up. One has to wonder how the car got on the grass with only three tires? It's totally logical that the Mercedes slowed greatly prior to its final resting spot, and then exploded. Do you think it's possible that Jose did not see Hastings' entire body if the video of the blown out door at 4:37 was in fact authentic? He was killed before the staged crash. At least a good case can be made for it. It isn't a head, but is supposed to be (I guess) the left side of his head. It would be the left side and the top. The fake visual at 4:37 looks more real and matches the coroner's report. Do you think it's possible that Jose did not see Hastings' entire body if the video of the blown out door at 4:37 was in fact authentic? He would have seen it because it's obvious once a person sees the supposed slumped over Michael Hastings. That thing isn't a human head or the headrest. He was officially found slumped to the left, but that visual showed about a minute later. Two obvious things stand out for me. The nose looks like a long snout and the chin is way too rounded. There's just a few inches between his chin and neck. 1) The camera angles at 1:12/1:53 match up from left to right. You can tell by the gas station, street light, two palm trees, the man, house with lights on, hydrant/water, another tree and car. And finally on the right, a tree, security sign, debris, and parking sign are all present at both times with a slightly closer zoom in 1:53. It doesn't matter whether one believes the tire was mostly straight or turned hard left. The tire has to appear in exactly the same position at both times, but it doesn't because the film was altered. You were proven wrong once I found 1:53 and matched it to the daytime photo and 5:07. You cannot duplicate your delusion with your own experiment because the tire would appear in the same position because the angle would be the same. That's reality, a place you left willingly. 2) The front passenger wheel was never turned hard left in reality. The force did not cause the front driver wheel to fly off while the front turned about 45 degrees to the left because it was straight. The faked tire is mostly parallel with the front of the car, while the real position of the tire aligns with the passenger side. And no, you shouldn't (BUT YOU MIGHT, CUZ you'll feel defeated if you don't.LOL) reply to any further private messages on this subject because you are debunked and no amount of simple denials will change that. You are 100% wrong about the film being authentic because there's no evidence anyone can bring that will change that it was fabricated at several points in the LoudLabs footage. The Zfilm shows the President being shot in the forehead and the back of the head literally popping off. This visual fact is corroborated by multiple eyewitnesses. I've included three, two of which were SS agents in the follow-up car. Nobody has or will ever honestly make a case for one bullet entering the rear and creating a large exit in the rear. Two other doctors were already treating Kennedy, Dr. Perry and Dr. Jenkins, and they ordered Dr. McClelland to hold the patient’s head. So, he stood, holding the bleeding, injured head of the President of the United States. The wound was huge, gaping. “My first reaction was, ‘My God, have you seen the back of the President’s head?’” McClelland says. They hadn’t. In hindsight, Dr. McClelland says that he always believed the wound at the back of President Kennedy’s head was the exit wound. But it wasn’t until years later, when he saw the famous Abraham Zapruder video on television, that the doctor became convinced of it. “That firmed up my thought that it was the exit wound,” he says, pointing to the backwards motion of the President’s body after he was shot, as well as the size of the hole in the back of JFK’s skull, as proof he was shot from the front. The autopsy report and all three docs involved in the autopsy reported missing bone in the Occipital region. The government created a fraudulent but plausible wound path that was inconsistent with the evidence in this case. 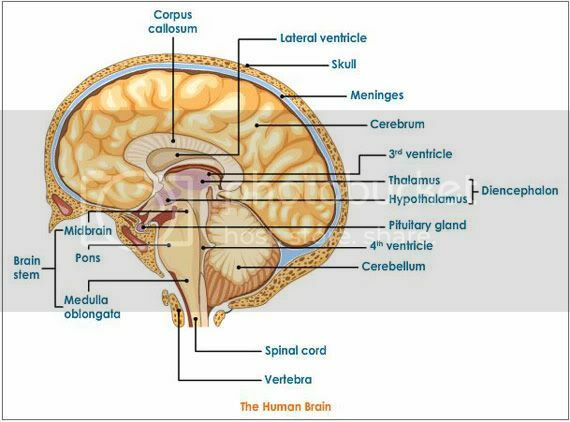 Most importantly, they moved the entry from low in the skull, completely out of the Occipital region and into the Parietal bone. POLITICIANS CHANGED AN OFFICIAL GOVERNMENT AUTOPSY REPORT. How did a bullet enter the rear of the skull and blow out the rear of the skull? Boswell confirmed this fiction in 1996. Mr. SPECTER - Before proceeding to describe what you did in connection with the tracheostomy, will you more fully describe your observation with respect to the head wound? Dr. McCLELLAND - As I took the position at the head of the table that I have already described, to help out with the tracheotomy, I was in such a position that I could very closely examine the head wound, and I noted that the right posterior portion of the skull had been extremely blasted. It had been shattered, apparently, by the force of the shot so that the parietal bone was protruded up through the scalp and seemed to be fractured almost along its right posterior half, as well as some of the occipital bone being fractured in its lateral haft, and this sprung open the bones that I mentioned in such a way that you could actually look down into the skull cavity itself and see that probably a third or so, at least, of the brain tissue, posterior cerebral tissue and some of the cerebellar tissue had been blasted out. There was a large amount of bleeding which was occurring mainly from the large venous channels in the skull which had been blasted open. Last edited by frisco kid; 08-09-2015 at 01:42 AM. I guessed a .38 service revolver because it was standard for decades. Maybe Greer's perfect/sitting duck shot also helped create the extreme damage. 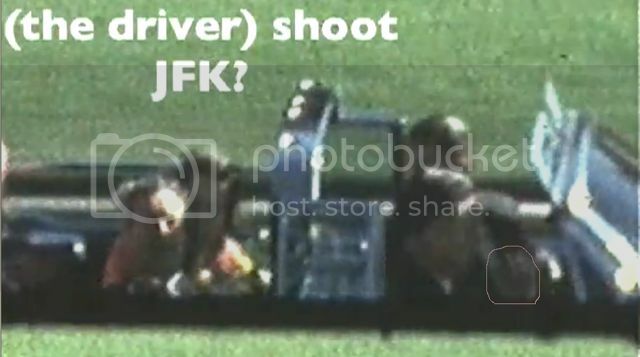 The driver shot jfk with a handgun, likely a 38 revolver fired from 6-8 feet in front of the President. The violent thrashing backwards was caused by the close range shot. This interview leaves no doubt about the right rear being blasted out and Greer's close range shot with a high velocity handgun. This silly interviewer quickly changes the subject after cerebellum falling out is brought to light. Dr. Mcclelland. I think even then you could make the statement that this wound could have resulted from this type bullet fired through this particular mass of soft tissue, losing that much velocity before it exited from the body. Where you would expect to see this really great hole that is left behind would be, for instance, from a very high velocity missile fired at close range with a heavy caliber bullet, such as a .45 pistol fired at close range, which would make a small entrance hole, relatively, and particularly if it entered some portion of the anatomy such as the head, where there was a sudden change in density from the brain to the skull cavity, as it entered. As it left the body, it would still have a great deal of force behind it and would blow up a large segment of tissue as it exited. But I don't think the bullet of this nature fired from that distance and going through this large area of homogenous soft tissue would necessarily make the usual kind of exit wound like I just described, with a close range high velocity heavy caliber bullet. This is why it would be difficult to say with certainty as has been implied in some newspaper articles that quoted me, that you could tell for sure that this was an entrance or an exit wound. I think this was blown up a good deal. Mr. SPECTER - What did you observe, if anything, as to the status of the neck wound when you first arrived? Dr. McCLELLAND - The neck wound, when I first arrived, was at this time converted into a tracheotomy incision. The skin incision had been made by Dr. Perry, and he told me---although I did not see that---that he had made the incision through a very small, perhaps less than one quarter inch in diameter wound in the neck. Mr. SPECTER - Do you recall whether he described it any more precisely than that? Dr. McCLELLAND - He did not at that time. Mr. SPECTER - Has he ever described it any more precisely for you? Dr. McCLELLAND - He has since that time. Dr. McCLELLAND - As well as I can recall, the description that he gave was essentially as I have just described, that it was a very small injury, with clear cut, although somewhat irregular margins of less than a quarter inch in diameter, with minimal tissue damage surrounding it on the skin. Mr. SPECTER - Now, was there anything left for you to observe of that bullet wound, or had the incision obliterated it? Dr. McCLELLAND - The incision had obliterated it, essentially, the skin portion, that is. Mr. SPECTER - Based on the experience that you have described for us with gunshot wounds and your general medical experience, would you characterize the description of the wound that Dr. Perry gave you as being a wound of entrance or a wound of exit, or was the description which you got from Dr. Perry and Dr. Baxter and Dr. Carrico who were there before, equally consistent with whether or not it was a wound of entrance or a wound of exit, or how would you characterize it in your words? Dr. McCLELLAND - I would say it would be equally consistent with either type wound, either an entrance or an exit type wound. It would be quite difficult to say--impossible. Last edited by frisco kid; 05-14-2016 at 07:31 PM. 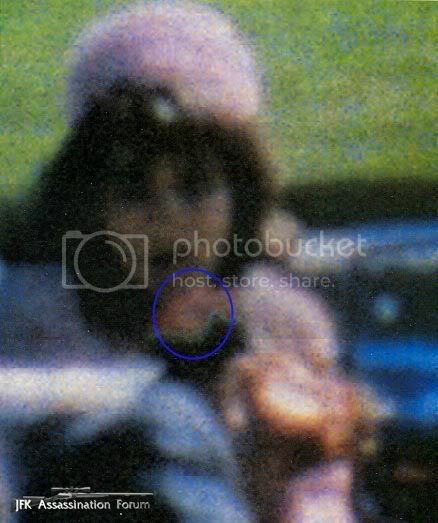 Jackie, being the closest eyewitness after the shot, makes her testimony very important to exactly where the exit wound was. She describes what so many others did, and now she's confirmed correct by exposing the rear exit wound was always visible in frame 313. The driver shot Kennedy square in the right forehead with the bullet logically exiting the right rear. 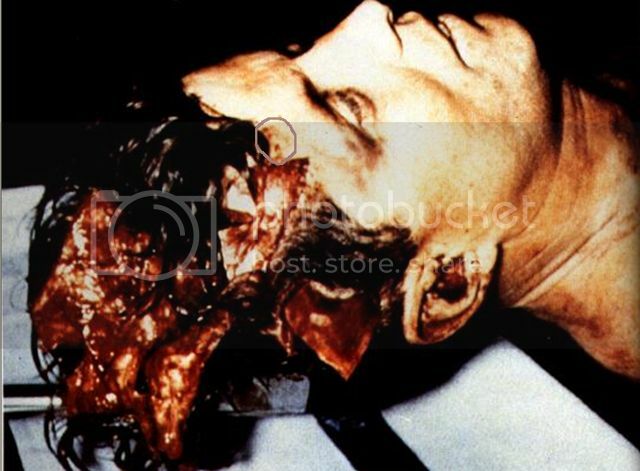 That exit wound is corroborated by 40 witnesses and my work showing that jfk's rear skull gaped open at the moment of front right impact. Notice the right rear missing in the autopsy pic and compare that to frame 313. "I was trying to hold his hair on. From the front there was nothing--- I suppose there must have been. Douglas P. Horne, Chief Analyst for Military Records, Assassination Records Review Board (Pub 2010) details in volume five of this incredibly detailed and well-documented five volume set, how a "prominent researcher" that he knows who requested confidentiality on his identity, describes video taping an interview (shortly before the witness died) with an unnamed black steward on Air Force One, who related an incident on the Air Force One flight back to Washington after the assassination, during which Secret Service Agent Clint Hill "was changing his shirt (which was covered with the President's blood) and in a moment of complete honesty, while being assisted by the steward with his change of wardrobe, confided to the steward that when he jumped onto the back of the limousine, 'the driver had his gun out and it was pointed right at my face'." Horne continues, "As the interview was related to me, Clint Hill was quite shaken by what he saw, for the implications were obvious. Hill's descriptions of the sound of the head shot(s), in both his written statement and in his Warren Commission testimony, were consistently that it resembled the sound a revolver makes when it is fired into a hard object." Horne continues, "The discharging of a firearm inside the limousine could also explain why the triage nurse at Parkland hospital, Bertha Lozano, smelled 'smoke' (i.e. 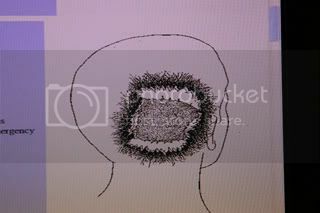 gunpowder) when Kennedy and Connelly were rushed past her on gurneys to the trauma stations for treatment." "The videotaped interview of the steward also provides independent corroboration for Hugh Betzner's account in his Sheriff's Department affidavit of November 22, 1963, that he saw a nickel (plated) revolver in someone’s hand inside the limousine during the assassination, and is consistent with Jean Hill's account in her affidavit of November 22, 1963 that some men in plain clothes were 'shooting back' (at the assassins)." "
'The Secret Service men were there when we started to work on Mr. Kennedy (at Parkland Hospital). Clint Hill had a gun out and cocked and we were afraid he was going to shoot one of us. And Doris Nelson went around saying, 'he's okay, he's okay, he's okay,' and got him finally out of the room. It was sheer bedlam. This makes sense to me only when I consider the revelation made by Clint Hill to the Air Force One steward. Consider his state of mind in Trauma Room One, given what Hill confided to the steward. He had just seen (and heard) the driver of the President's limousine plug the President, the man they were all sworn to protect, with a coup de grace shot to the head, and from that moment onward (until the end of his career when he was granted early retirement in 1975), his world was turned upside down. He was surrounded by known traitors: William Greer, Roy Kellerman, Floyd Boring, Emory Roberts -- and doubtless others, unknown to him. He didn't know whom to trust, and besides being infused with anger and overcome by sorrow, he might well even have been afraid for his own life, for having heard Greer fire his revolver, and seen it in his hand immediately after the head explosion, he was clearly, 'the man who knew too much'. Hill had enough intestinal fortitude to tell Arlen Specter about Floyd Boring's security stripping role under oath, and enough common sense to suddenly forget Boring's name when he was required to prepare a written statement about the matter later for Secret Service Chief James J. Rowley. The poor man suffered from deep depression and alcoholism for years, and his agony was still apparent, and right on the surface, in 1975 when he was interviewed for the television news magazine 60 Minutes by Mike Wallace. (During that interview, I believe Hill was as upset by what he could [B]not[B] talk about, as he was by what he did talk about. The 'survivor's guilt' that he exhibited during the poignant interview may really have related more to his failure to blow the whistle on the 'dirty' Secret Service agents involved in the assassination, than to his failure to get to the limousine in time to protect the President." Horne's five volumes, large format paperback set is incredibly inclusive and well documented and is available on both amazon.com and amazon.ca. I strongly recommend it. Last edited by frisco kid; 05-25-2016 at 06:14 PM. The bullet that hit jfk in the throat passed right over Connally's left shoulder and face. That is shown clearly by his startle reaction, not to the sound of the shot but the shock of a bullet whizzing past his head. Remember, both men reacted to the the first shot that missed, then the second shot went past Connally, and finally the Governor was hit by his own admission somewhere between 231-234. A very, very brief span of time could not reasonably be the shot that missed because that would have been at least 3.5 seconds before the shot that hit the Governor. He is, in his own way describing the two shots that hit the President and him, which were separated by as little as a half of one second. That's why Connally was so sure two or more shooters were involved, although he tells us only indirectly why he knew. Mr. SPECTER. What is the best estimate that you have as to the time span between the sound of the first shot and the feeling of someone hitting you in the back which you just described? Governor CONNALLY. A very, very brief span of time. Again my trend of thought just happened to be, I suppose along this line, I immediately thought that this--that I had been shot. I knew it when I just looked down and I was covered with blood, and the thought immediately passed through my mind that there were either two or three people involved or more in this or someone was shooting with an automatic rifle. These were just thoughts that went through my mind because of the rapidity of these two, of the first shot plus the blow that I took, and I knew I had been hit, and I immediately assumed, because of the amount of blood, and in fact, that it had obviously passed through my chest. that I had probably been fatally hit. So I merely doubled up, and then turned to my right again and began to--I just sat there, and Mrs. Connally pulled me over to her lap. She was sitting, of course, on the jump seat, so I reclined with my head in her lap, conscious all the time, and with my eyes open; and then, of course, the third shot sounded, and I heard the shot very clearly. I heard it hit him. I heard the shot hit something, and I assumed again--it never entered my mind that it ever hit anybody but the President. I heard it hit. It was a very loud noise, just that audible, very clear. Immediately I could see on my clothes, my clothing, I could see on the interior of the car which, as I recall, was a pale blue, brain tissue, which I immediately recognized, and I recall very well, on my trousers there was one chunk of brain tissue as big as almost my thumb, thumbnail, and again I did not see the President at any time either after the first, second, or third shots, but I assumed always that it was he who was hit and no one else. Connally was shot in the back immediately after jfk was shot from the front. That proves two shooters hit their target in less than one second. How many gunshot victims are asked to determine when they were shot by watching a video of when they were shot? The Governor knew when he was shot, and there is no person or group that can make a logical argument to the contrary. Jfk reacted to being shot no later than 225. Mr. SPECTER. I have just one other question, Governor. With respect to the films and the slides which you have viewed this morning, had you ever seen those pictures before this morning? Governor CONNALLY. I had seen what purported to be a copy of the film when I was in the hospital in Dallas. I had not seen the slides. Mr. SPECTER. And when do you think you were hit on those slides, Governor, or in what range of slides? Governor CONNALLY. We took - you are talking about the number of the slides? Governor CONNALLY. As we looked at them this morning, and as you related the numbers to me, it appeared to me that I was hit in the range between 130 or 131, I don’t remember precisely, up to 134, in that bracket. Mr. SPECTER. May I suggest to you that it was 231? Governor CONNALLY. Well, 231 and 234, then. Governor CONNALLY. It was just after we came out of the sign, for whatever that sequence of numbers was, and if it was 200, I correct my testimony. It was 231 to about 234. It was within that range. Last edited by frisco kid; 10-06-2016 at 04:44 PM. Kellerman's open palm is circled. 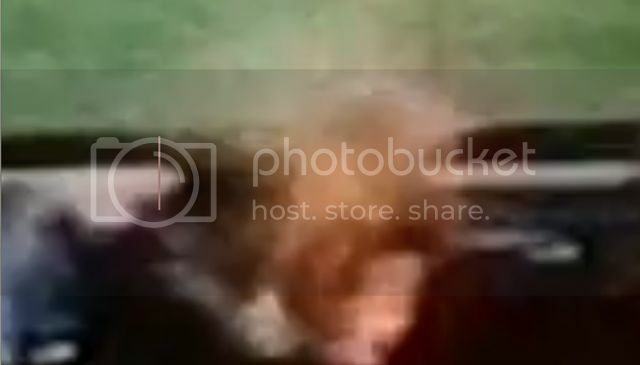 No capture of Greer's supposed left hand looks anything like a real hand, because it was a video effect with no arm attached to it. Frame 304 would have a dark suited arm to the left of the white spot. Nothing is there. The open palm is frame 307. Because the back of the head blown off in Zapruder is corroborated by 40 eyewitnesses, and the AR. The most logical reason for the red blob addition was to cover up the bullet's entry and provide an exit wound in a logical location to the supposed entrance. We know there wasn't a large wound in the right front because the AR and photos exclude it, and no eyewitness reported anything missing there. The film was altered, but not enough to keep the truth from being realized. FRAME 327 provides a fake loss of skull and brain in the right front. 13:10 Then we witnessed an explosion on the other tower. Now we think that there was a plane that actually headed into the second tower at some point and that's what caused that second explosion. 32:53 That's not from the chopper is it? Before killer Bill Greer shot jfk, he braked the limo to an almost complete stop. Notice the motorcycles and follow-up car suddenly stop. 60 EYEWITNESSES AND BOTH OTHER VIDEOS PROVE THIS SIMPLE FACT. Greer braked the limo for himself, no one else. Greer pressed on the brakes in the Muchmore film. The brake light illuminates. 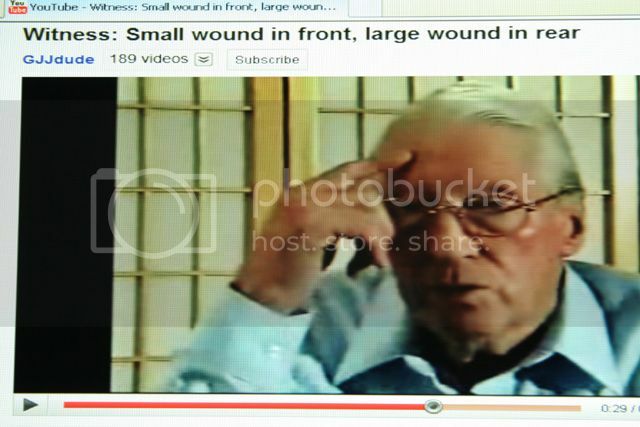 59 EYEWITNESSES ARE CONFIRMED BY 2 VIDEOS showing Greer brake during his second turn to shoot the already wounded President. It took almost 47 years to prove Greer was jfk's real assassin. We now know the only one important thing Greer kept secret. Greer retired in July 1966 after having undergone a stomach operation and Jackie Kennedy sent him a letter thanking him for being with the President until the end. He said he "saw blood on Connally's shirt" and looked back only "one time", in direct contrast to the Zapruder film. He went on to say that he "didn't really see the President at all". 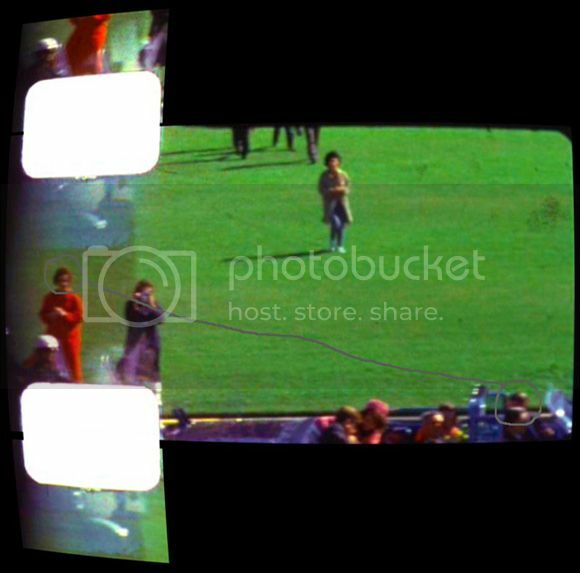 Said the Zapruder film "was proven legitimate". Claimed to have not seen anyone on the triple overpass. Regarding the assassination itself, Greer claimed that "we never stopped...there was no reason to stop...no need to stop." In regard to the direction of the shots, he said that "everyone was hit from the rear...my back was covered with it [debris from head shot]." When told that Connally has always insisted that he was hit with a different bullet than had hit JFK, Greer said "I feel that way, too. They [the Warren Commission] had lawyers working on it...these lawyers had already made up their mind". Greer also believed that the back wound [which he referred to as being in the "back of the shoulder"] did not go through and that that was also the first thought of the autopsy doctors in attendance. Greer claimed he was "in the OPERATING ROOM at Parkland" [emphasis added] and stated that JFK's clothing "were in my custody from Parkland to Washington." Greer denied that there was a hole in the limousine's windshield. He said there was only a "star"; a spidering crack. 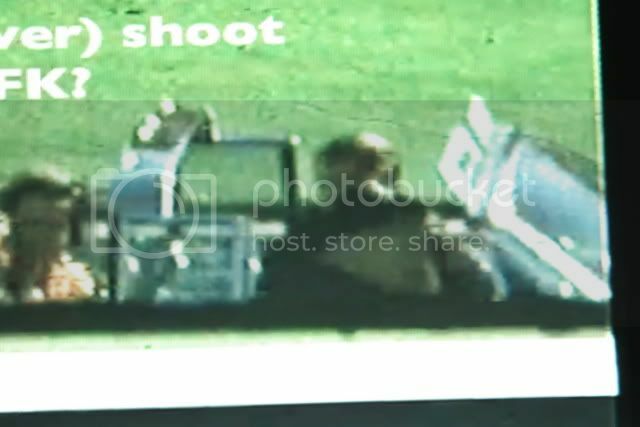 Greer did not know why the photographers were out of their usual position in front of and close to JFK's limousine that fateful day in Dallas, but did not seem to regard this as suspicious. Regarding agent Roy Kellerman, Greer said twice that he was "a very fine gentleman." Regarding President Kennedy, Greer said "He and I were pretty close friends. He treated me just wonderful." Before killer Bill Greer shot jfk, he braked the limo to an almost complete stop. Notice the motorcycles and follow-up car suddenly stop. 8:18 "the second plane hit while they were live on television." 9:09 "We have no tv air, I cannot see pictures on tv. I do not know what we have." 9:56 "How long do you want me to talk. I don't have much information." Last edited by frisco kid; 09-20-2016 at 05:49 PM. She was just speculating that Greer was shooting back at whomever was shooting at the President. This was an easy way of saying it without exactly saying it. But in those moments she may have thought it because it would be shocking to see your President killed intentionally by the men who took an oath to protect him from assassination attempts. Mrs. Hill clearly turned to the left as the limo passed by in response to the shots and Greer suddenly braking during his second turn to execute the coup de grâce. Mr. SPECTER - What occurred at the time of the fourth shot which you believe you heard? Mrs. HILL - Well, at that time, of course, there was a pause and I took the other shots---about that time Mary grabbed me and was yelling and I had looked away from what was going on here and I thought, because I guess from the TV and movies, that it was Secret Service agents shooting back. To me, if somebody shoots at somebody they always shoot back and so I just thought that that's what it was and I thought, well, they are getting him and shooting back, you know; I didn't know. Mr. SPECTER - Where was the President's car at the time you thought you heard the fourth shot? Mrs. HILL - The motorcade came to almost a halt at the time the shots rang out, and I would say it was just approximately, if not---it couldn't have been in the same position, I'm sure it wasn't, but just a very, very short distance from where it had been. It was just almost stunned. Mr. SPECTER - And how about the time of the fifth shot, where do you think the President's car was? Mrs. HILL - That was during those shots, I think it wasn't any further than a few feet---further down. Mr. SPECTER - Which shots, now---you mean the fourth, and perhaps the fifth and perhaps the sixth shot? Mr. SPECTER - You thought that perhaps the second burst of shots you heard were being directed toward him by the Secret Service? Mrs. HILL - I Just thought, "Oh, goodness, the Secret Service is shooting back." Mr. SPECTER - What was your impression as to the source of the second group of shots which you have described as the fourth, perhaps the fifth, and perhaps the sixth shot? Mrs. HILL - Well, nothing, except that I thought that they were fired by someone else. Mr. SPECTER - And did you have any idea where they were coming from? Mrs. HILL - No; as I said, I thought they were coming from the general direction of that knoll. Mr. SPECTER - Well, did you think that the Secret Service was firing them from that knoll? Mrs. HILL - I said I didn't know-I really don't. Mr. SPECTER - You just had the general impression that shots were coming from the knoll? Mr. SPECTER - And you had the general impression that the Secret Service was firing the second group of shots at the man who fired the first group of shots? Mrs. HILL - That's right. Mr. SPECTER - But you had no specific impression as to the source of those shots? Jean Hill was looking at the limo when Greer shot Jfk. FRAME 310. Last edited by frisco kid; 06-02-2018 at 03:40 PM.